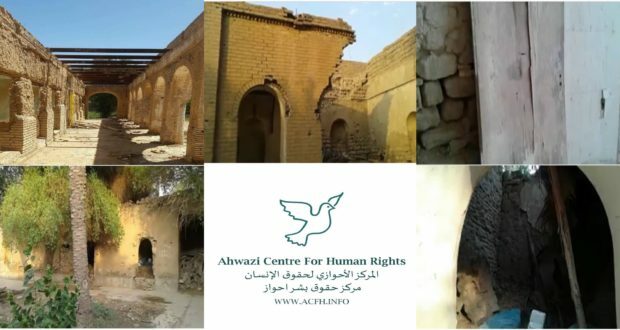 Ahwazi heritage activists revealed that part of the Ahwazi historic building named as “beit al-Sheyoukh” been demolished by Iranian regime a few days ago. 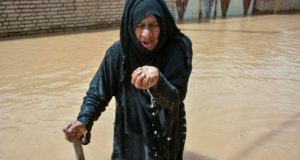 While the destruction went deliberately but Sayed Mostafa Mousavi, a member of the Iranian Heritage Expression Association, said: “The eastern wall of the “beit al-Sheyoukh” has fallen by (rainfall) over the past two weeks” in complete neglect and silence of the Iranian Cultural Heritage Bureau. “beit al-Sheyoukh” or Sheikh Nabhan’s second home is an Ahwaz’s historic home with a unique architecture in the “Ameri” district of Ahwaz capital. The “beit al-Sheyoukh” is nearly four hundred years old. “beit al-Sheyoukh” is mentioned in the book by French archaeologist “Dieulafoy”. she stayed there three nights. Formerly, local Ahwazi heritage activists had warned against this historic home and asked the Iranian Cultural Heritage association to decide on the assigning budget for this building, as parts of the building had been destroyed. 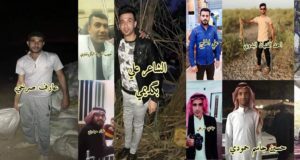 In addition to “beit al-Sheyoukh”, other Ahwazi historic homes like Mirza Fakher House, Sheikh Shanan’s House and Haj Hamoud House, despite their unique architecture, are at imminent danger of destruction by the Iranian regime. 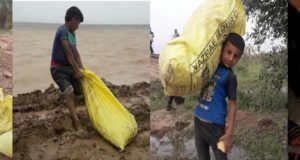 In similar context, 100-year-old palace of the last ruler of Al-Ahwaz in the city of Hamidiyeh is in complete negligence of the Iranian regime officials. “ The main Hamidiyeh Historical palace is composed of 2 floors of the basement, connected to a network of underground tunnels to the city”, Mr. Obeidawi said. According to the head of the Cultural Heritage Administration in Hamidiyeh said that Hamidiyeh Palace is on the verge of complete destruction. Local eye witness quoted to Ahwazi Centre for Human Rights that the Iranian IRGC forces tried in many time before to destroy the palace by making artificial earthquake or testing military equipment inside the palace.